With the TopLabels Cydia tweak you can move your application labels from the bottom of icons to the top. When I first installed the TopLabels Cydia tweak it took me a minute to adjust to the fact where the labels were. In some cases the labels were extremely hard to read depending on an icons design. 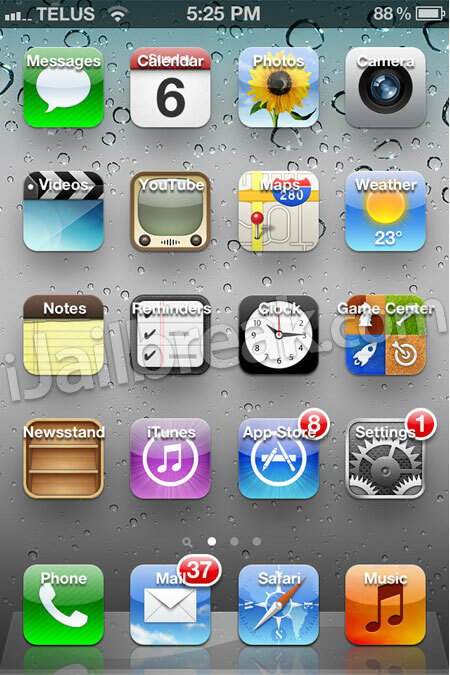 I personally do not think I would use my iPhone with the labels on the top of icons because it just looks out of place. I see TopLabels however, being useful for certain themes or for those that would like their background image to stick out more. Once you download the TopLabels Cydia tweak there are no options to configure and the only way to disable the tweak is to remove it. One added feature that I think would have worked well for the TopLabels Cydia tweak is a slider to adjust the position of the labels.